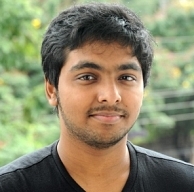 Composer G.V.Prakash is all set to don the greasepaint in the upcoming film titled Pencil. The actor did make a cameo in a song for Vijay’s Thalaivaa but this film will launch him in a full fledged role. Pencil will be directed by Mani Nagaraj, a former associate of Gautham Vasudev Menon. G.V supposedly plays a 12th standard student and will have Priya Anand as his lady love in the film. The composer, who recently turned producer with Madha Yaanai Kootam, believes that this film will be part of the new wave of Tamil cinema like Vijay Sethupathi’s Soodhu Kavvum. G.V will be on double duty for this film as he takes up the task of music department as well. Pencil is expected to go on floors early next month. People looking for online information on G V Prakash, Pencil, Priya Anand will find this news story useful.